Years before “craft brewing” became the hot-button phrase on menus and tap-boards of every pub in sight, Drake’s Brewing Co. opened its doors in San Leandro with a mission to brew small-batch, high-quality, craft beer. 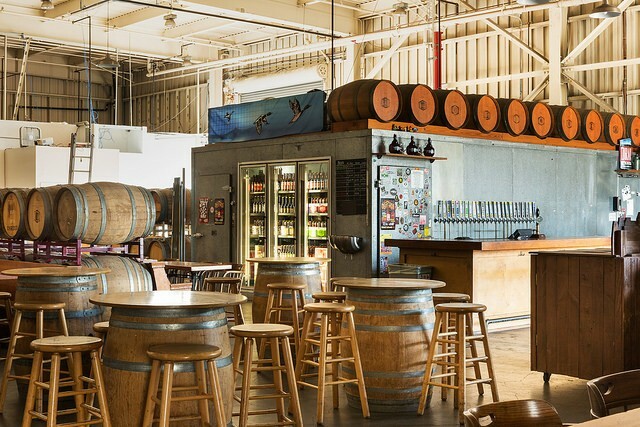 After nearly 30 years in business, the brewery, founded in 1989, is a Bay Area institution and has helped lay the foundation for the brewing scene in the region. As a matter of fact, many of the brewmasters at surrounding breweries got their start working at Drake’s before moving on to helm their own operations. This adventurous attitude has most recently manifested in the form of Drake’s Brightside Extra Brut IPA. While India Pale Ales have been popular for some time, Brightside is an entirely new kind of IPA that has been in development for nearly a year. The Extra Brut IPA-style first popped up in February of 2018 at Social Kitchen & Brewery in San Francisco. In German, Brut literally means dry, so expect Brightside Extra Brut to be an extremely dry IPA. The dryness allows the hops to jump forward with minimal body. This means that the brew is crisp, light, and loaded with unique hop aromas and flavors, uninhibited by any residual sugar taste. In the case of Brightside, Drake’s has actually managed to make it so dry that the beer is reminiscent of champagne or sparkling wine. The flavor profile contains elements of pine needles, wine grapes, and citrus fruit. This is in direct contrast to the current dominant style of IPAs, which favors juicier, full-bodied, brews, and so brings with it the promise of something new and different for fans of craft pale ales. What makes this new IPA so compelling and innovative, beyond its culturally subversive flavor, is the method of brewing itself. It starts by adding amylase enzymes into the fermenter. Amylase is a key ingredient in the production of Extra Brut IPAs, because it helps make complex sugars in beer completely fermentable, meaning that there is very little sugar left over in the finished product. Sugars contribute to what is known as the “body” of the beer and impacts the perception of dryness. Drake’s’ goal was to create a light-bodied, dry beer. Through trial, error, and experimentation, Drake’s brewmasters were actually able to reduce the sugars in their batches to negative levels, a feat made possible by the fact that alcohol is less dense than water and so can produce concentrations lower than zero. Having eliminated the body, there was still work to be done before the Extra Brut could be called a success. The first was a matter of logistics. When added to the fermenter, the amylase enzymes would stay alive between batches. This meant that they would be active in the next batch, eating all the sugar and reducing the body. Essentially, this meant that any fermenter that had been introduced to the enzyme would turn everything that was put in it into a dry beer, whether that was intentional or not. A blogpost on Drake’s website equated it to having a living “infection in your cellars.” In order to ensure this didn’t happen, Drake’s decided to add the amylase enzymes into the mash tun, which still allowed for its conversion to work, but ensured that the enzyme would be killed off in the boil, before fermentation. This change led to an increase in sugars in the finished product, but still created an extraordinarily dry beer. The second big obstacle was flavor. When you take all the sugars out of a beer, the end result can be an aggressively bitter drink. The balancing act was to make an IPA that was as dry as possible without having a bitterness that puckered your very soul. Drake’s solution to this was simple but effective: test batches. 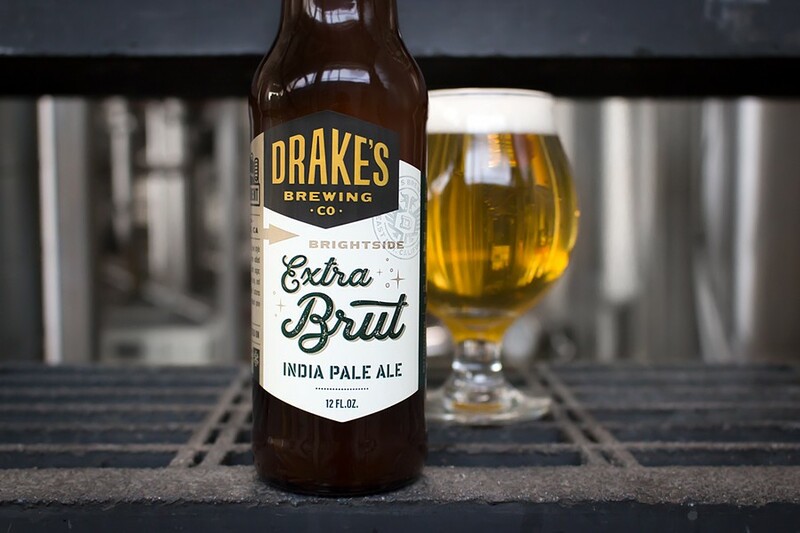 Drake’s created and released five batches of Extra Brut IPA to the public before arriving at Brightside, but who can say the number of batches that didn’t make the cut? In the end, the bitterness was balanced by dropping the amount of bittering hops and incorporating more citrus and wine grape flavors in the profile. But don’t allow yourself to be underwhelmed by that information. Pioneering a new style of beer, a beverage that has been around for millennia, is no light undertaking. It’s indicative of Drake’s love of the craft and spirit of innovation that they put their shoulder to the wheel until something they’re proud of came about. Stechschulte laughed when asked if they had perfected the recipe for Extra Brut IPAs with Brightside and answered, “I’m confident that it’s the best representation of this style of beer we have to offer, right now.” It’s reassuring in a way to know that after three decades in the industry, amidst an ever-changing Bay Area, Drake’s is still here doing what it has always done. Pushing boundaries, collaborating, and giving us delicious beer. Express narratives are produced by the sponsored content unit of the East Bay Express.